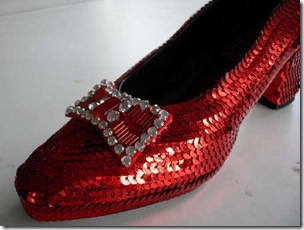 There is no place like home… who doesn’t want Dorothy’s Ruby Slippers from The Wizard of Oz. This is a great weekend craft, fairly simple to do and easily moddable. Based on your preference all you would have to do is get different color sequins and different footwear and presto Emerald Loafers for the guys. There are four easy steps to follow with pictures included for each steps. Read the full instructions here (via Instructables) . Get your copy of The Wizard of Oz here from Amazon. Newer PostFullmetal Alchemist: Brotherhood Reboot!! !